Google cuts straight to the point- “Make Epic Sh*t”! Home/1:AM Production, Classes, Community, Team Building Workshops/Google cuts straight to the point- “Make Epic Sh*t”! 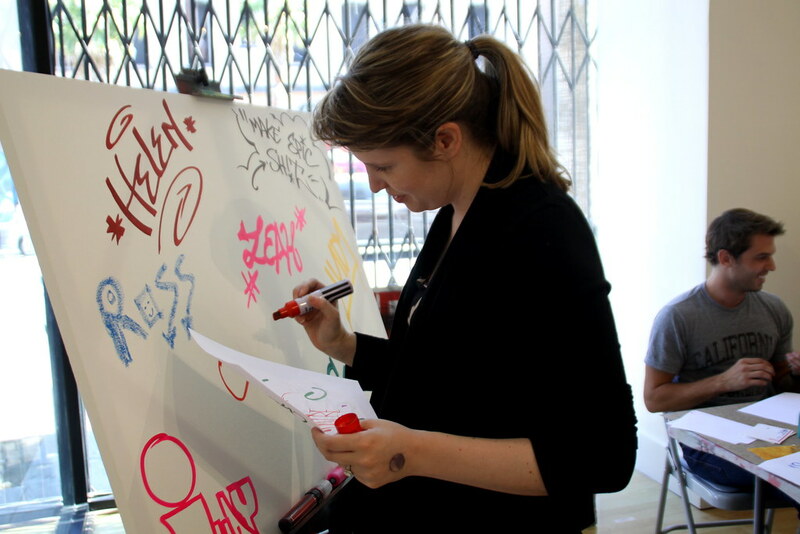 Google came by to adorn our wall with their edgy statement, “Make Epic Sh*t”, after a drawing exercise and a local mural tour! 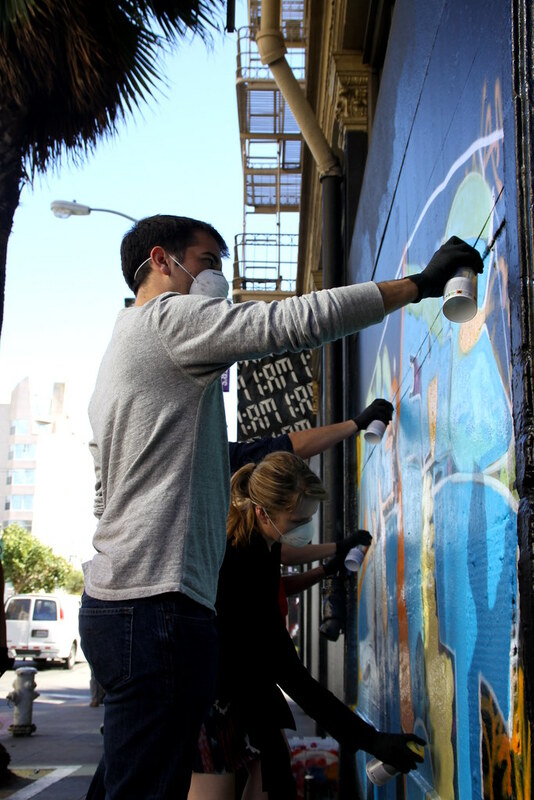 They quickly picked up some can control and busted our their mural in a short 50 minutes, great job guys! Interested in booking a team outing? Email maya@1AMSF.com.